This body demanded that its technical delegate be present to verify that the new construction method used for the SF90 complied with the regulations. As if it were a distillation, little by little more details of the Ferrari SF90, become known a single car whose great final goal is to return the success to the Scuderia twelve years later in the World Formula 1 2019. According to 'Thejudge13', engineers of the Cavallino Rampante have used this winter a novel method to build the chassis that resembles in excess to 3D printing. A process that is not new for Mercedes, Red Bull or Renault, but unlike Germans, British or French, the Italians seem to have really worked on a practical level. 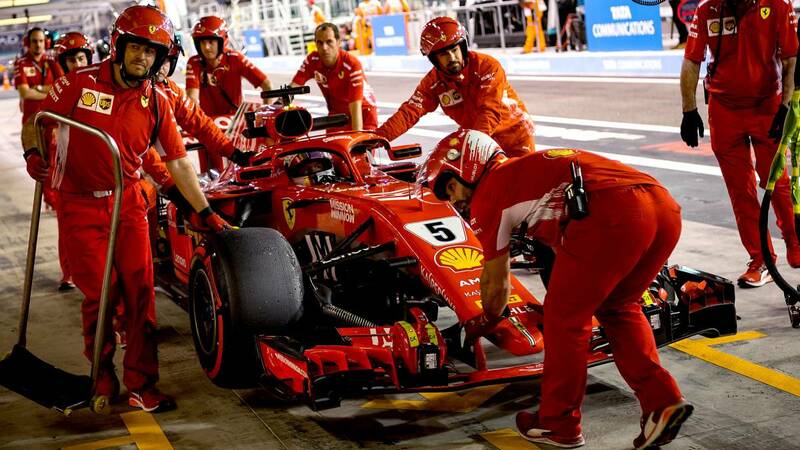 This new technique would use a material with properties similar to fiber carbon, which would allow Ferrari manufacture pieces for his car at a speed hasta ten times faster than the normal process of manufacture of molds, placement of sheets of carbon fiber and subsequent heating through the use of an autoclave. En reason, The FIA demanded that the FIA technical delegate, Jo Bauer, be present in the CSI laboratories of Bollate during the 'crash test', something that is not very common, to guarantee that the test was carried out without any type of incidents and in accordance with current legislation.